It's time to start living your traveling dreams in this Montana! Beginning with the master suite featuring a walk-through bedroom to the front luxurious bathroom with his and hers sinks, a shower with a seat, plenty of closet space along the front wall including shelves, and a bench seat offering you a space to put on your shoes. You will also find a half bath comes in handy when other campers visit. 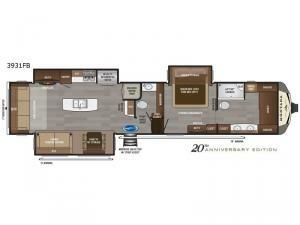 The main living space includes the kitchen amenities such as a coffee station for the coffee lover in the family, a residential refrigerator, a closet prepped for a washer and dryer if you choose to add those options, and all the appliances necessary to live full-time in the fifth wheel. You can relax on theater seats with power recliners and a hide-a-bed sofa, plus dine at the free standing dinette that allows you to move the chairs around just like you like. 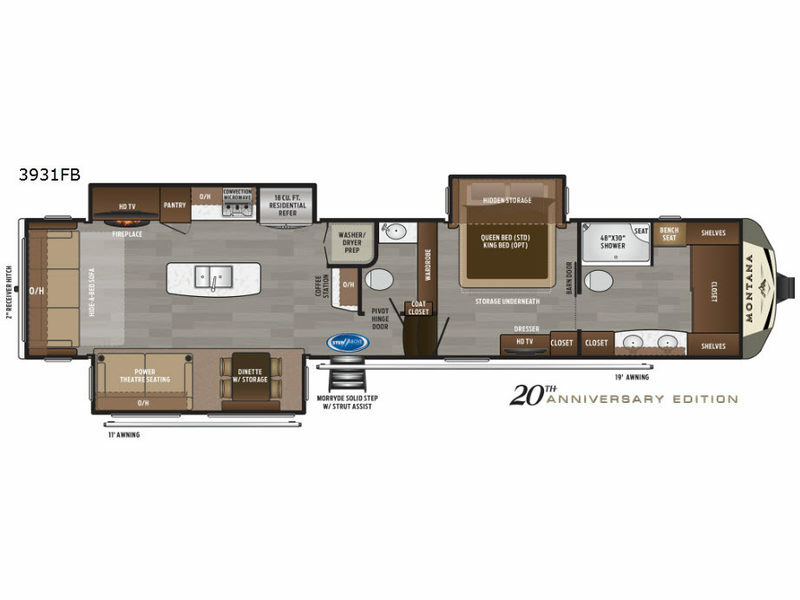 You will find more to love about this model including the 20th anniversary edition enhancements!